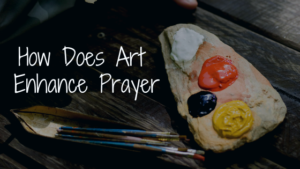 How Does Art Enhance Prayer? I miss being creative. With my head dug deep into a graduate course this past 6 months, my spirit is dry. Time to brush off the creative juices and find joy in my life, especially in my prayers. This will be a major goal of mine in 2019 – to be more creative. I am so excited to share the words today from a wonderful creative and friend – Therese Kay. Therese is a writer and photographer, and lover of God. She recently collaborated on a visual devotional featuring her photography called Messages from God: An Illuminated Devotional. Art and prayer have shared an intimate relationship since God appointed the skilled craftsmen, Bezalel and Oholiab, to create the artistic designs for the Tabernacle in Exodus 31:1-6. As humans, we were created and formed in God’s image – and He was a Creator! So, creating, in all its various forms, is part of our being and whenever we reflect God’s nature, it is a worship and praise to Him. There are many ways that art and prayer are interconnected. Both are a type of language – one is a visual language and the other being a verbal language. Both languages speak and can give glory and praise to Him. Art was once essential to faith, and I believe it still is. I’m going to discuss a few different ways people find that art enhances their prayer life. The rise in popularity of coloring books for adults attests to the calming nature of coloring and doodling. It gives the hands something to do and the mind can often focus on something else – or on the coloring itself. Coloring as prayer is when you pray for people or situations, reflect on the Names of God, or contemplate a specific scripture passage while you color. 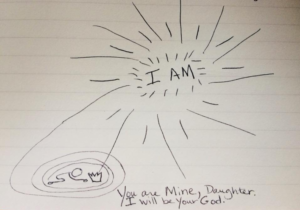 Sometimes words escape us as we pray for someone and just bringing them before God in your coloring or doodling can help. It also can help us “stay still” in prayer when we find that difficult or of our mind is wandering a bit too much. This last one was created in response to Lectio Divina, which means sacred reading and “is an ancient contemplative practice of listening deeply to the voice of God in sacred texts.” As I meditated on Numbers 23;19, it was the word lie that stood out. If God does not lie, then he tells the truth. I then doodled as I contemplated the word truth and what it means that God never lies. I’ve done similar doodles of a person’s name while I pray for them. Art can be created in a contemplative manner, listening to worship music, asking God to guide you in the process of creating the art, praying for both the viewer or recipient of the art. It is a way to connect with God the Creator while we are creating. 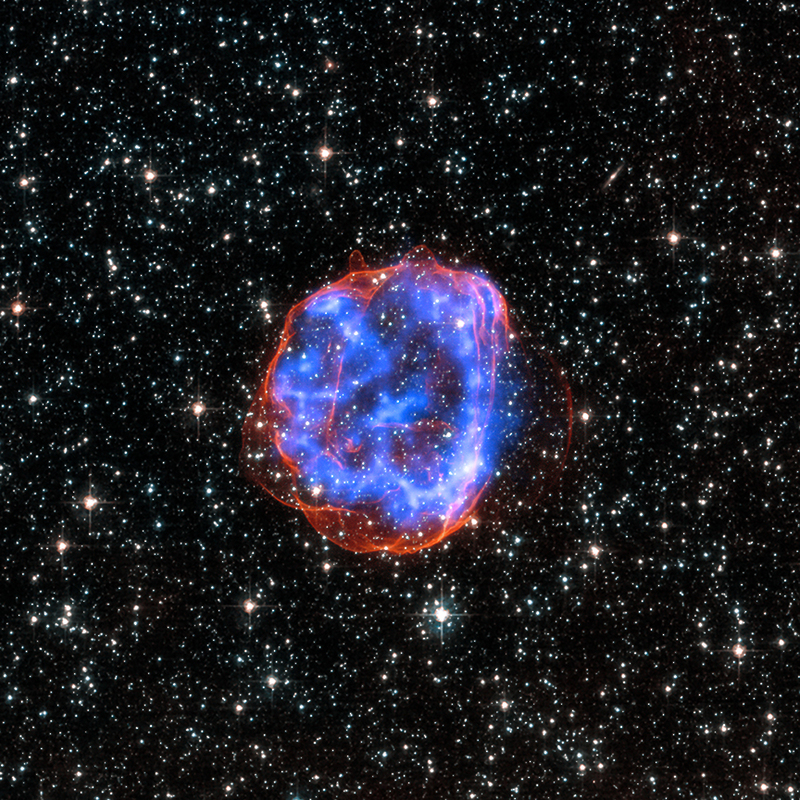 “In the beginnin,g God created the heavens and the earth” (Genesis 1:1). Sometimes art can express what we can’t find the words to express. In creating something through painting, drawing, doodling, collage, photography, or many other mediums, we can find a way to express the inexpressible. Romans 8:26-27 “In the same way, the Spirit helps us in our weakness. We do not know what we ought to pray for, but the Spirit himself intercedes for us through wordless groans. And he who searches our hearts knows the mind of the Spirit because the Spirit intercedes for God’s people in accordance with the will of God.” I’m a firm believer that those “wordless groans” can be expressed through art as well as being articulated. Art can be the prayer itself or the response to prayer. For example, a few months ago, in October, I was contemplating the power of our words based on Proverbs 18:21 as I went for a walk, cell phone camera in hand. I am almost always drawn to flowers and that day was no exception. Being the time of year that it is, flowers aren’t always in full bloom but you do see lots of mums and sunflowers. One particular garden caught my eye… especially a particular patch in the garden. 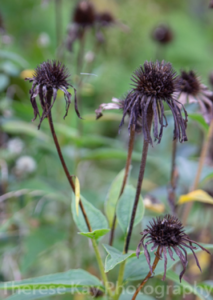 They were former coneflowers. They were completely black and shriveled. I realized that Jesus was asking me to pluck the dead flowers from my life and that the dead flowers represented the words and thoughts that no longer bear fruit or bring life. I recently read God Is For REEL: A “Why You” and “How To” Guide for Using the Arts to Speak to the Heart! by Shonda Carter. This little gem of a book is chock full of various ways that art enhances prayer and ministry. 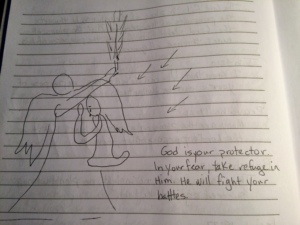 Cameron Abernathy shares the steps she uses to create art as prayer. She suggests you pray before, during, and after the process that God might direct your vision and creation process. She also suggests you pray for the viewer that it might become a connection point between them and God. A prophesy is a message from God – given through a person who is filled with the Holy Spirit – that conveys the heart, mind, will, and intent of the father – but it is not restricted to words (sung, spoken, or written). It can be through the example of a life, drama, a drawing or other piece of art. We serve a creative God with no limits. Often a prophecy is received as a vision. A prophetic artist reproduces that vision in the form of art. Colors, symbols, objects, metaphors – all can be used by God to communicate through the artist to the viewer of the art. Any time we feel reverence and adoration for God, we are worshiping Him. When I look at a waterfall and I feel the power of God and express it back to Him, that is worship. When I notice a tiny mushroom nestled among the leaves and remember that God is in the tiniest of details, that is worship. When I see the joy in someone’s smile and remember that God is a God of joy, that is worship. A prayerful consideration of and interaction with a photograph in the magazine, icon, piece of art, or other visual representation allows the viewer to experience the divine in a unique and powerful way. It’s an invitation to “see deeply” beyond first impression, ideas, judgments, and understandings. God can invite us into dialog with Him through the image – He is never tied to or limited to the image but can speak through it. Be open to surprise and transformation. Quiet your mind and ask God to meet with you and speak to and teach you through the piece of art you are contemplating. Spend some time with the art. Gaze at it. Spend some time keeping your eyes on the part of the art that captured your attention first. If your eyes were deterred from a part of the art, spend some time with your eyes looking there as well. Study the details, the colors, the relationship of where things are placed. Notice what is in light and what is in shadow, what is fully included in the “frame” and what is only partially included. • What captured your attention? • What did you want to avoid looking at? • What emotions are you feeling? • Does this stir up any memories or bring any person or situation to mind? • Do any Scriptures come to mind or specific words? • What are your other thoughts? Bring all of these to God. Let the prayers form within you. Speak to God about what you are experiencing from this piece of art. You may also want to record some of your thoughts and insights in your journal. Thank God for speaking to you. As you may have gathered from reading, I am a photographer and often think visually. A couple years back, I was approached by a dear friend of mine, Kathleen Schwab, who had attended the same college and church as I had back in the day. She was working on a devotional that she wanted to have designed similar to illuminated manuscripts. After much thought, prayer, and exploration on her part, she approached me to ask if I was interested in working with her to pair my photography and digital mandalas with the journal excerpts. I said yes and it was the best yes I ever gave, except the one I gave to Jesus! The process of praying through her devotionals and my own images and pairing them together was such a lovely experience of art, prayer, and fellowship with the Lord. These two blog posts talk more about Kathleen’s experience and my own in the creation of the devotional. My story, being kidnapped by a pirate queen. Kathleen’s story, becoming a pirate queen. 1) Color or doodle while you are praying for a loved one. 3) Try creating a piece of art in honor of someone you love praying before during and after that God’s love, wisdom, and healing will permeate your creation. Let me know in the comments how this goes for you and what the experience was like!